Patients benefits from fast ,efficient, accurate and predictably successful treatment outcomes. Dentist can clearly see up to 50 x magnification. Fantastic positioning for the dentist and patient , Happy calm dentist. Microscope use enhances dentist fine motor skills due to increased visual acuity and visibility- leads to a softer touch and less trauma for patient. How is this different from my dentist? Very Different - A microscope trained dentist has developed special micro-sensory neuronal circuitry for hand , eye and body movements. Micro tremors management require the brain of a microscope trained dentist to perform at finer surgical movements resulting in less trauma for the patient and faster healing times.Better magnification expands the diagnostic options due to better lighting and sight. Take fissure cavities and micro fractures for example: most of these diagnoses are impossible to see with the naked eye or regular dental Loupes , but with a microscope it's possible to view all pathology enabling correct diagnosis and treatment immediately. No guessing involved. Treatment results are more predictable and many procedures are simplified and even accelerated with the visibility provided by microscopes.We have a video camera attached to the microscope enabling real time patient education . You benefit by understanding your body better and more importantly make educated decisions about your health care. Do doctors need additional training for operating a dental microscope? This is a no-brainer. Yes, they must receive specific training to develop portions of their brain and neuro-circuitry for fine motor hand and eye movements. Also, they have enhanced visual cortex circuitry. 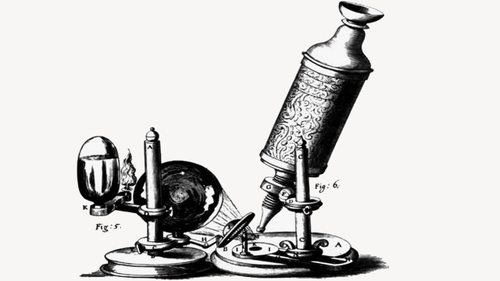 Microscopes were first introduced to the field of dentistry through endodontics approximately at the beginning of the 21st century. Apart from Endodontists only a handful of general dentists in the US and Europe use microscopes for their daily operative procedures. These are usually cutting edge practices that invest in expensive equipment and training because they value the trust of their patients. This trust needs to be reciprocated by providing the best treatment outcomes possible. In dentistry, the microscope has redefined the concept of visualization. It enhances the quality of the dentist's work - producing more aesthetically appealing outcomes and long term health. Looking at the field of endodontics, the microscope is now an essential element in the dentist's armamentarium as it soon will be for all general surgical procedures in general practice.